When an emergency call comes in, firefighters have no way of knowing the exact kind of danger they will be facing. At the scene, they have to make quick judgements using their training and intuition about how best to mitigate the emergency. Despite extensive training to help others while keeping firefighters safe, firefighters have a high rate of job-related injuries. While medication can help to manage discomfort, it often leads to painkiller addiction. 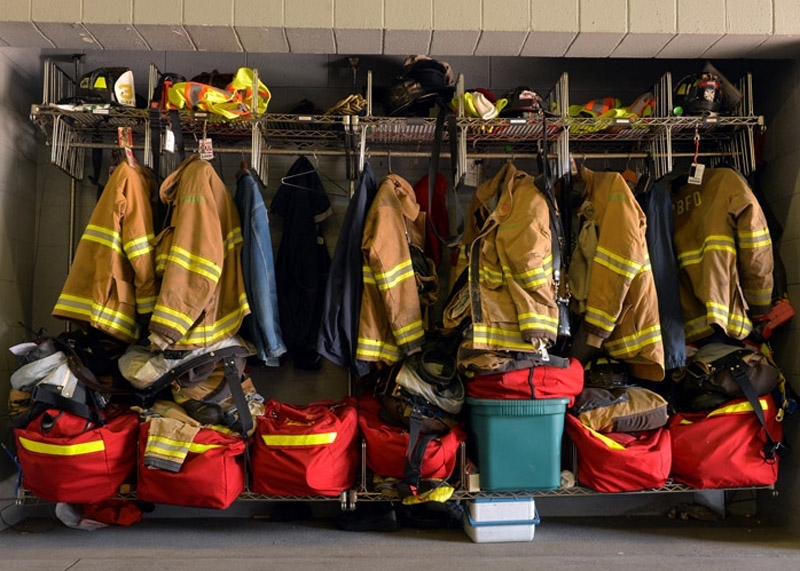 A 2011 survey by the National Fire Protection Association (NFPA) showed that approximately 70,900 firefighter injuries occur in the line of duty. About 19.5% of those injuries caused firefighters to take time off work. The leading cause of fireground injuries are overexertion and strains, due to falls, jumps, and slips, or coming into contact with an object. Strains, sprains, and muscular pain account for 50.5% of injuries, 14.5% pertain to thermal stress, and burns account for 6.2%. The statistics for non-fireground injuries are slightly higher at 61.1% for sprains, strains, and muscular pain and about the same for other types of injuries. For people that have no prior history of drug or painkiller addiction, 97% will not become addicted to pain medications when they take the drug in the dosage prescribed. There are no exact predictors of who is susceptible to having a drug addiction, which is why addiction is one of the most common forms of drug abuse. While risk factors cannot be pinpointed, certain types of people are more prone to drug addictions than others. Those populations include people with a history of drug abuse, people with addictions to alcohol or nicotine, and people with untreated mental illness such as major depression and PTSD. When firefighters are injured, they may need to take opiates to manage the pain. Those who take pain medication should follow the doctor’s prescription exactly. Patients should never double a dose, take pain medication for reasons other than pain, mix the drug with other drugs or alcohol, or save medication for use at a later date. Most people benefit by getting their medications from a pain management specialist or pain management clinic. Those who have previous drug or painkiller addiction problems will especially benefit from a pain specialist. A pain specialist uses a screening questionnaire to identify patients with a high risk for addiction. Doctors may also encourage the patient to sign a pain agreement to create awareness of the risks of painkiller addiction. In some cases, the pain agreement will include random drug testing. Pain specialists may also help patients identify alternative methods of pain management such as alternative medicines, surgery, or holistic treatments like mindfulness, massage, or relaxation. Such alternative therapies may reduce or eliminate the need for opiates. It’s also important for people that deal with chronic or severe pain to get lots of support. Family and friends are often not enough. Most physicians will offer referrals to therapists or support groups for others that deal with chronic pain. Patients who are prescribed prescription drugs are not the only ones at risk of drug addiction. Medications should be kept where children, grandchildren, friends, neighbors, family members and pets cannot get into it. Drug Dependence or Drug Addiction? Addiction psychiatrist, Dr. Karsten Kueppenbender, of Harvard affiliated McLean Hospital, reports that drug dependence is more common than drug addiction. Dr. Kueppenbender adds that taking pain medications for a few days after surgery is not a problem, but patients that are treated for pain with opioids for 30 days or longer will develop opioid tolerance, causing a dependency on the drug. When the brain recognizes the presence of the drug in the body, it increases the number of receptors for the drug. It changes the way the brain responds by sending a signal to the body to stop producing endorphins, which are the body’s natural painkillers, because the opiates taking their place. The nerve cells that produce endorphins degenerate, creating a physical dependency on an external supply of opiates. As someone becomes physically dependent on a drug, drug use continues for the sole purpose of avoiding withdrawal symptoms. A small percentage of people will become dependent on pain medications within a short period of time while they are recovering from surgery or other injury. Upon stopping the medication, they may experience withdrawal symptoms. The majority of people can tolerate them for a few weeks when they know what the symptoms are and that they will dissipate over time. Patients who are educated on the differences between drug dependency and drug addiction will overcome the withdrawal just fine in most cases. Abruptly stopping the medication will cause them to suffer withdrawal symptoms, which can be extremely uncomfortable for up to two to three weeks. Symptoms include diarrhea, abdominal pain and cramping, vomiting, runny nose, eye tearing, yawning, sweating, agitation, restlessness, twitching and tremors, back and bone pain, and intense craving for the drug. According to the Substance Abuse and Mental Health Services Administration (SAMSHA), drug addiction occurs when someone uses a medication with the intention to get high, or to relieve anxiety or stress. Having a dependency on a drug may also cause some patients to want more of the drug to achieve the effects of an intoxicating high when it is taken orally in high doses or is injected. Some people use narcotics to relieve extreme cases of anxiety. No one is to blame when someone becomes addicted to drugs. Drug abuse generates chemical reactions in the brain that require treatment in a safe, humane setting. Many people are so afraid of the withdrawal symptoms of “going cold turkey” that they never seek treatment at all. Such people are good candidates for a traditional detoxification program where they can withdraw from the drug safely and with less symptoms from withdrawal. Most people have a greater chance of success when the process is administered by professionals who coach them how to achieve and maintain a drug-free lifestyle. Frontline Responder Servicesa offer a comprehensive drug treatment program that begins with a complete assessment that includes previous substance abuse and treatment history, physical history, social history, and identification of treatment goals. The evaluation is conducted by a substance abuse professional who makes recommendations about the appropriate course of treatment. Treatment options include outpatient, intensive outpatient, partial hospitalization, ambulatory detox, and inpatient care. Firefighters have a higher risk of injury than many other professions. They should be aware of the risks of drug dependency and addiction with regard to pain medications. While pain medications are a good cure for managing pain, firefighters who find themselves addicted to opiates should seek treatment for addiction and for dealing with withdrawal symptoms in a supervised, healthy manner. Mark Lamplugh is a fourth-generation firefighter and former captain with the Lower Chichester (PA) Fire Company. He is the Chief Executive Officer with 360 Wellness Inc. (www.360wellness.org) and an Executive Director with Sprout Health Group (www.sprouthealthgroup.com). Lamplugh is also nationally recognized in Crisis Stress Intervention through the American Academy of Experts in Traumatic Stress. 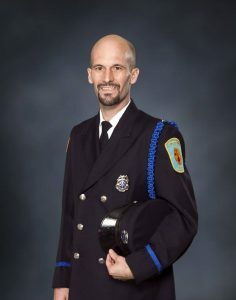 He has helped hundreds of firefighters, police officers, veterans, EMS personnel, and civilians nationwide find help for addiction, alcoholism, PTSD, and mental health support. He can be reached for comment at mark@360wellness.org.